Large boost tubes, thick core area, wide-open inlet/outlet, big aluminum end tanks and Twin-Ram intake manifold flow more cool, dense air for high continuous power. Banks Intercooler addresses a serious shortcoming of stock 1994-1997 Power Strokes: they have no intercooler. Banks Intercooler system includes mandrel-bent 3" high-flow boost tubes ... large, high-efficiency all-aluminum end tanks ... a wide-open inlet and outlet ... and a thick core area with impressive volume. 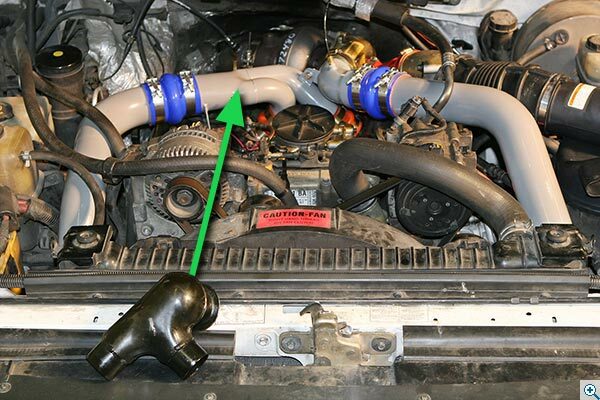 And because the stock manifold inlet flows more air to one side of the cylinder bank than the other, Banks developed an innovative Twin-Ram manifold inlet assembly that flows air evenly to both sides for smooth, even power delivery. 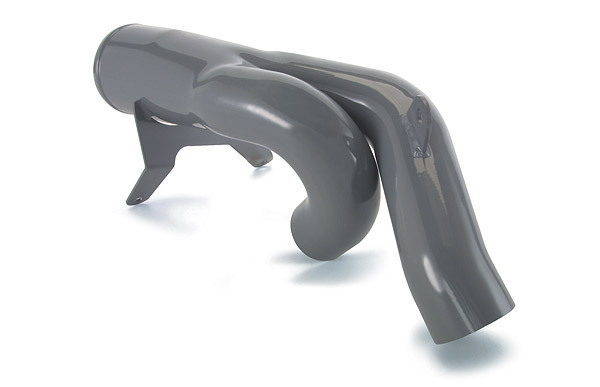 Large boost tubes, thick core area, wide-open inlet/outlet, big aluminum end tanks and Twin-Ram intake manifold flow more cool, dense air for high continuous power. Techni-Cooler provides the maximum reduction in boost air temperature with a minimal loss of boost pressure. Your engine now gets a continual supply of cool, dense, oxygen-rich air, which improves combustion as well as engine efficiency. Result: higher continuous power and more power at any EGT, better fuel economy and lower EGTs. That's a truckload of benefits! It doesn't get any cooler than Techni-Cooler! Mounting hardware included. Pumping more air means more fuel can be delivered and more power can be made. It's all about the flow...More air, more fuel, more power, and much more fun.